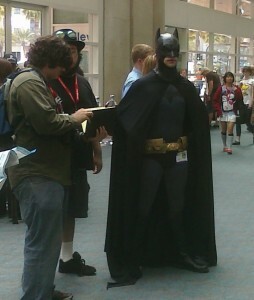 The San Diego Comic Con was this past weekend. For those who don’t know, the SDCC (for those in the know) is the largest Comic Book Convention in the country, if not the world. It’s big. Hollywood ties to use it as a launching pad for upcoming movies… as if Twilight needed help… But, first and foremost, the convention is about the fans. Yes, there are lots of comic books for sale. There are lots of t-shirts for sale. There are lots of things for sale. Lots of things. But. Really, it’s about the fans. Especially the fans that dress up. Surely, they are easy targets for humor. But, let me tell you, on the massive exhibition floor, those guys and gals (cosplayers) are ROCKSTARS. If you are wearing a costume, you will be stopped and someone will want a picture with you. 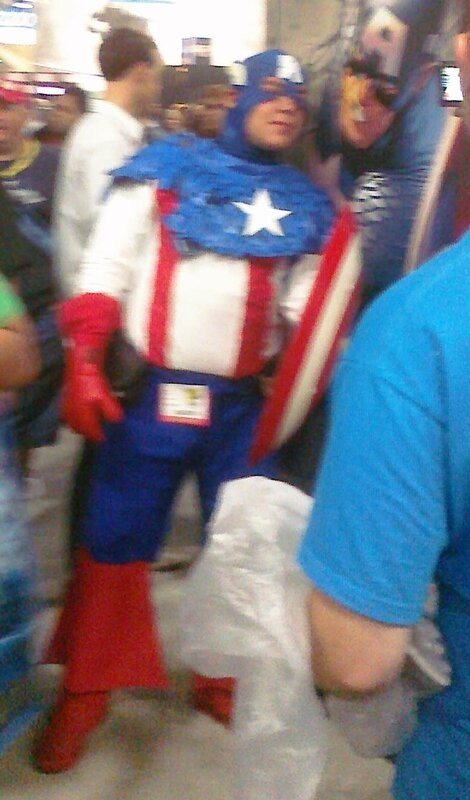 YOU, cosplayer, make the comic book convention. These heroes of the comic book convention are representations of the most extreme in fandom. But, fandom isn’t a silly thing. Fandom is about community. It’s about passion. Devotion. Though, above all, it’s about community. And on the exhibition floor… man… it’s kind of exciting to feel and see and hear people talking about the same things you care about. For the artists and writers, that has to be a tremendous feeling. To be around people who are passionate about your work. This entry was posted in Fun things, Thoughts and tagged adventure, comics, Fan, Fandom, Larry Pontius, San Diego Comic Con, silly. Bookmark the permalink. Post a comment or leave a trackback: Trackback URL.